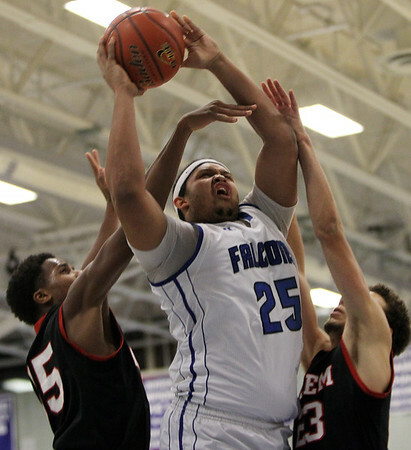 Danvers senior forward Devan Harris (25) splits Salem forwards Jhonel Roberts, left, and Bryan Martinez, right, and lays the ball off the glass for two points. DAVID LE/Staff photo. 1/16/15.